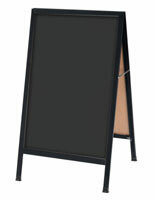 This wet erase a-frame sign provides a handsome way to help drum up some business at your retail establishment. 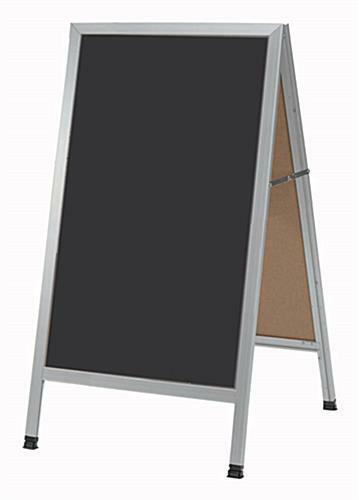 Simply write your strategic messages and place the sidewalk sign outside in front. 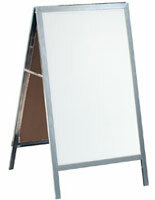 The wet erase a-frame sign comes with a set of six color markers to get you started right away. The outdoor sign is double-sided and has a silver aluminum frame. Try our wet erase a-frame sign today!